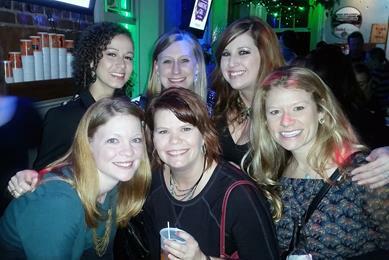 This year's Southern Regional Conference was well attended by the SMPS Austin Chapter. Members had the opportunity to network with groups from other chapters and learned from industry experts about how to improve their marketing and business development efforts. We will be highlighting some of these topics in the next few newsletters, so keep an eye out! Thanks to everyone who participated in our 2014 Compensation Survey! We appreciate your patience as we analyze and prepare the results. We are currently putting the finishing touches on the report and expect it to be ready within the next month. Results will be available for free to all current SMPS Members as well as everyone who completed the survey and received a confirmation code. On the heels of SMPS Austin’s two most recent Lunch & Learn programs on Marketing Plans, we would like to share this article, that goes beyond the SWOT Analysis and brings to light some planning “resolutions” that every marketing plan might consider including. Please join us for the fourth annual SMPS Austin Chapter Golf Tournament on March 11, 2015 at 1:30pm. You and your guest will form a 2-person team and each of you will enjoy 2 TOPGOLF competition rounds, appetizers, and a drink and raffle ticket. In addition, we’ll have a celebrity bay set up where you will be able to try your luck at a competition event with Rob Roy Parnell, Associate Vice Chancellor of Facilities for Texas State University System. So grab a client, colleague or SMPS friend and come out for a fun day of networking and golf! Awards will be given to the top team in each round. Spire Consulting Group is a multi-disciplined construction engineering consulting firm that provides customized proactive and forensic services needed to deliver complex projects on time and within budget. Having advised clients on over $54 billion in construction, Spire's engineering and construction consultants have extensive, hands-on experience supporting a multitude of projects worldwide. Their diverse backgrounds allow Spire to offer its clients a unique perspective on the issues facing construction management professionals in this rapidly evolving industry. I am originally from Corpus Christi, Texas. I attended The University of Texas at Austin where I earned a Bachelor of Science in Public Relations from the Moody College of Communication and a Certificate of Business Foundations from the McCombs School of Business. In my free time, I enjoy going to Pilates classes, taking my dog, Ranger, on long walks and to swim at the lake, catching up on my favorite TV shows, and sharing a nice bottle of wine with my friends. 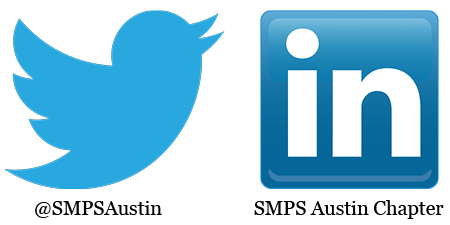 I joined SMPS Austin to increase my skills and knowledge of the industry through educational and networking opportunities. 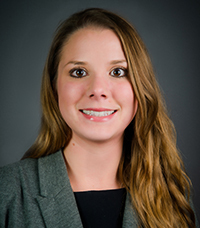 Lauren Rekola, Ryan Companies US, Inc.